Hey guys! 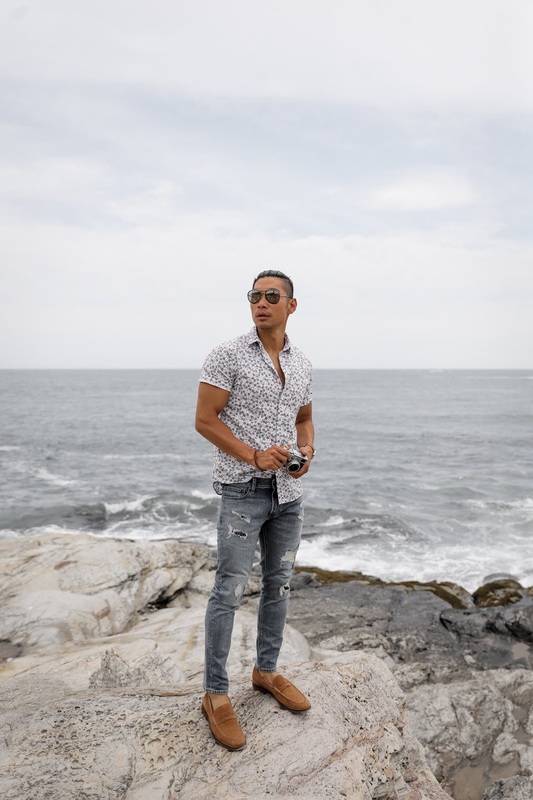 During the summer season, I'm always reaching for a pair of shoes that I can just slip on and off (no sock life). 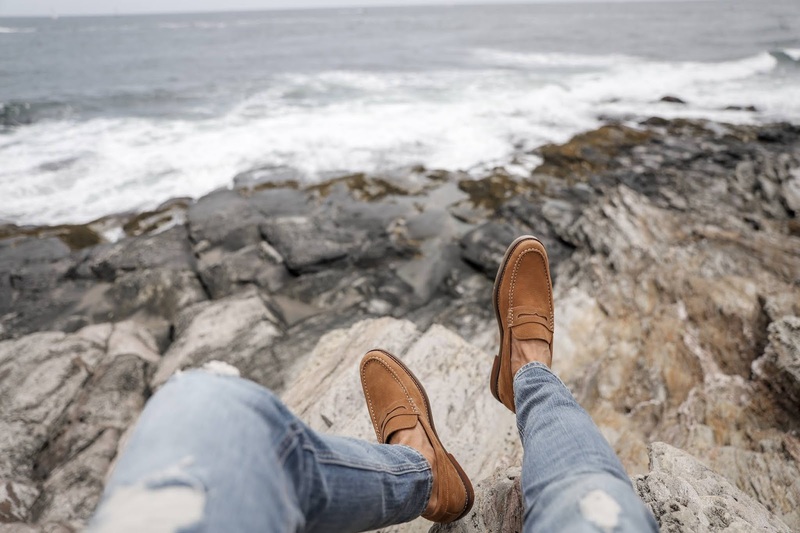 Sperry has always been one of my favorite brands because of the brand's classic boat shoes that I would rock all summer long. 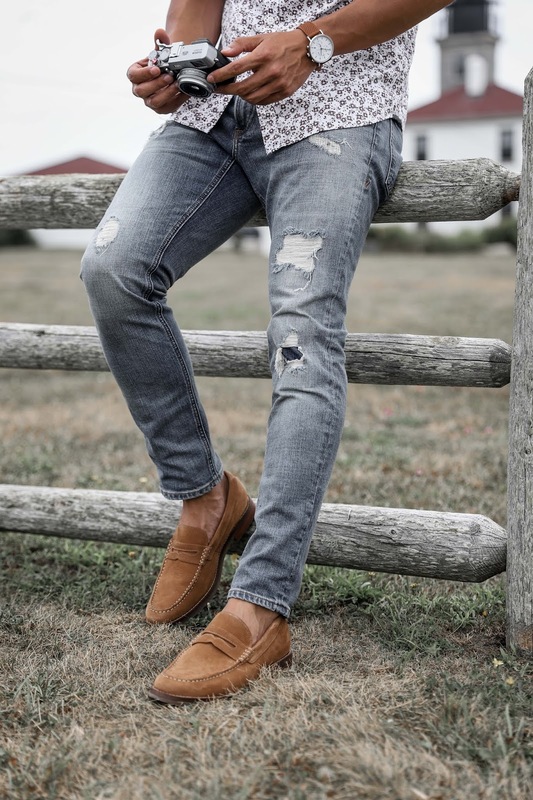 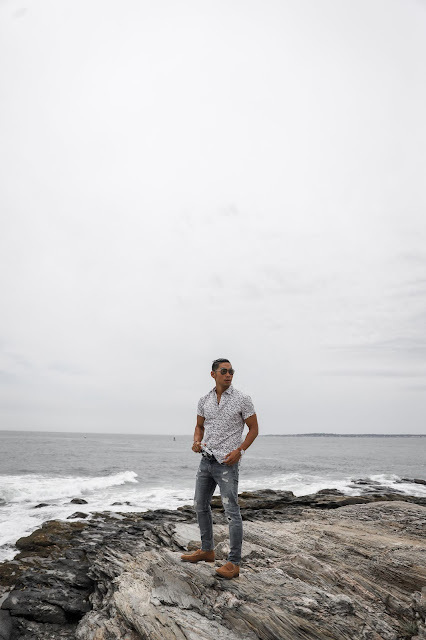 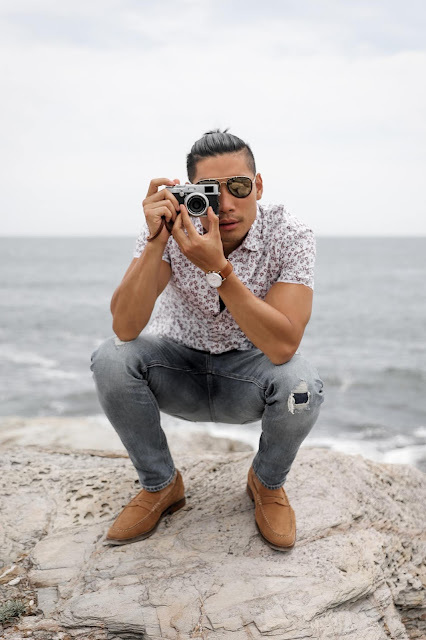 On this most recent weekend getaway trip, I took the Sperry Gold Standard Loafers for a spin to show you how I dress "prep" in my own personal style. 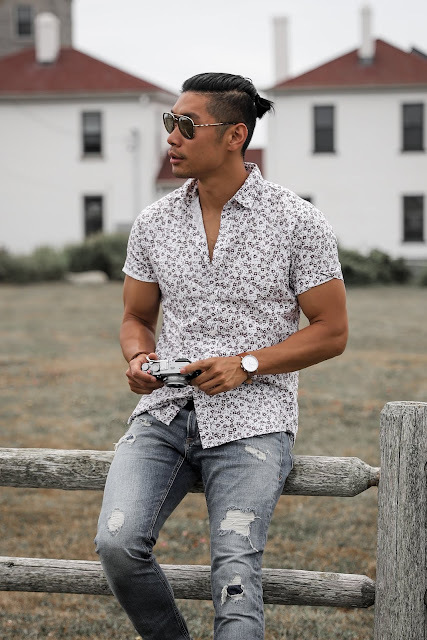 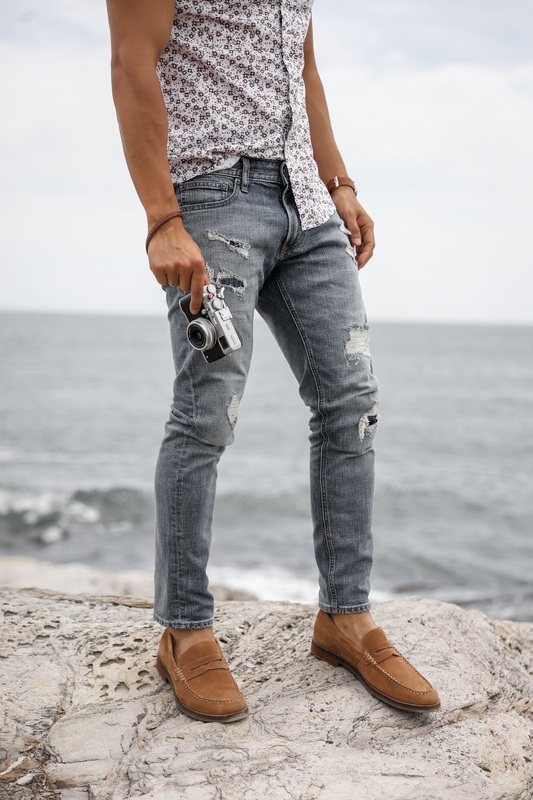 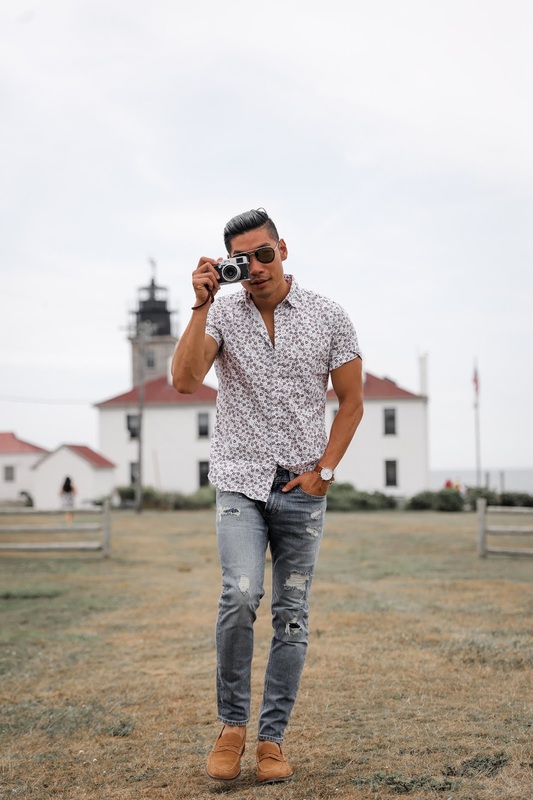 To get this effortless summer style look: Go for a light pattern shirt, pair it with some distressed/ripped jeans, and finish off with the classic Sperry Loafers. It's all about having fun and being comfortable so roll up the short sleeves and cuff the jeans to show off the shoes. 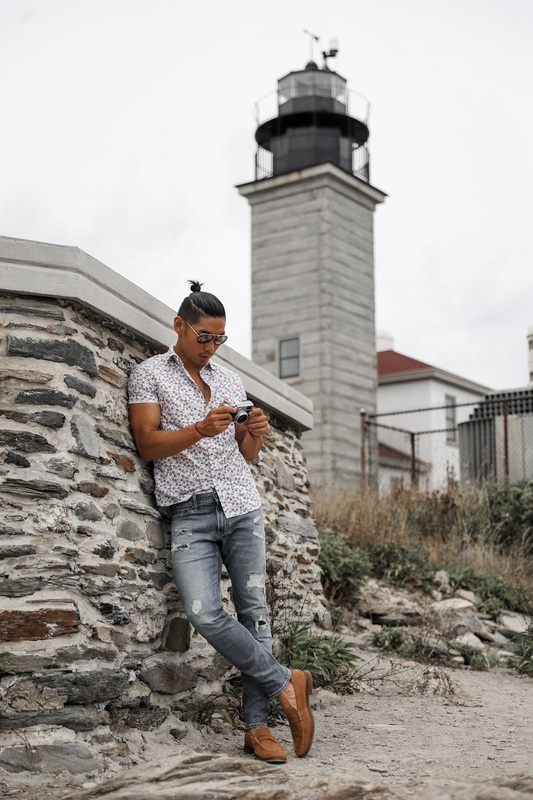 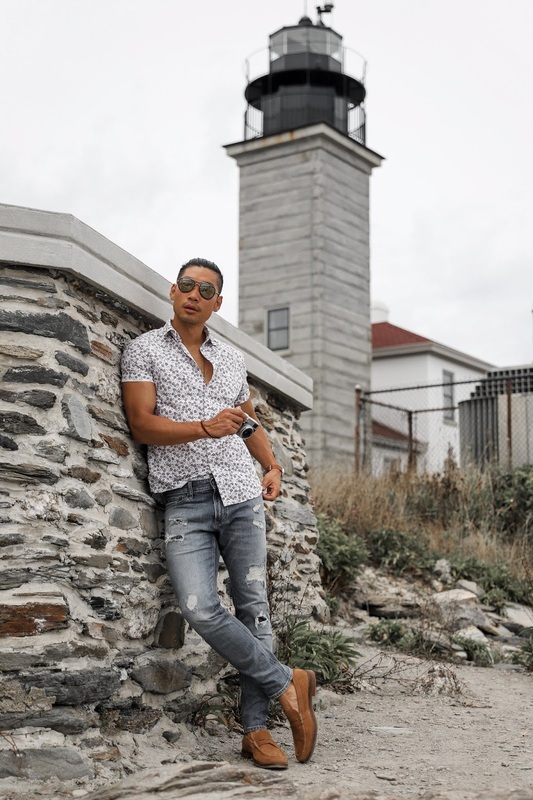 We went out for an adventure in Rhode Island to explore the lighthouse and take in the views.